So, the Mats Sundin saga is over. Finally. After months of waiting. Hundreds, thousands, of words written on the subject. Bytes, kilobytes, of internet space posted on the subject. I poke fun at the situation but there's something ridiculous going on in the NHL. The Sundin mess comes on the heels of Teemu Selanne and Scott Neidermayer hemhawing about retiring or returning to the Ducks and the annual Peter Forsberg conundrum. By the way, there have been reports that Forsberg is looking to return for the playoffs. Raise your hand if you're surprised at that one. Didn't think I'd see any hands in the air. The NHL needs to step in and put a stop to this insanity. 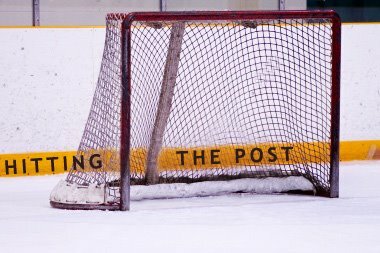 Set a deadline - if you haven't signed with an NHL organization by December 1, you cannot play in the NHL until the next season. What the above four players have pulled is a sham. It holds teams hostage and makes the league look like a joke. It generates "discussion" but I'd wager a majority of fans long ago became sick of the talk of where Sundin would end up. Make a decision, guys. If you really want to help a team win a Cup, join them earlier so you can actually PLAY DURING THE SEASON. If you want to keep the spotlight focused on you, then by all means, keep stirring the pot by waiting until St. Patrick's Day to sign with a team. I'm torn. What Niedermayer did was wrong. What the Ducks were able to get away with regarding his contract was wrong. But the other guys are UNRESTRICTED. To me that means they're free to do as they please, not under contract to anyone. If your team's GM is willing to hold himself hostage to their waffling, then that's your problem. I definitely think they should have to realize the full cap hit of players under contract unless they can be medically proven to be on some kind of long-term IR. I don't think their contract situation should have anything to do with it. They can sign with whomever they please, but the NHL is willingly allowing players to skip half the season before playing. I think that's an insult to the rest of the players who are actually working hard and don't expect anything just handed to them because of who they are. The NHL shouldn't allow for special exemptions like this. Baseball had that problem with Roger Clemens and that was a joke too. The Niedermayer thing makes me the most made. He signed a contract in good faith, and failed to honor it.